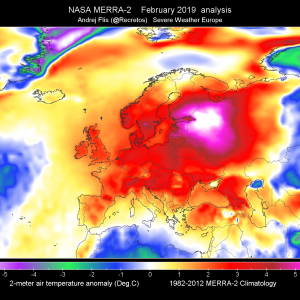 A large upper low dominates WSW Europe while upper ridge expands from south-central Europe eastwards onto Balkan peninsula. 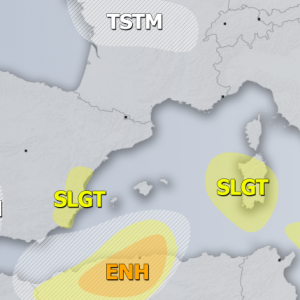 Upper low over S Mediterranean moves towards east. 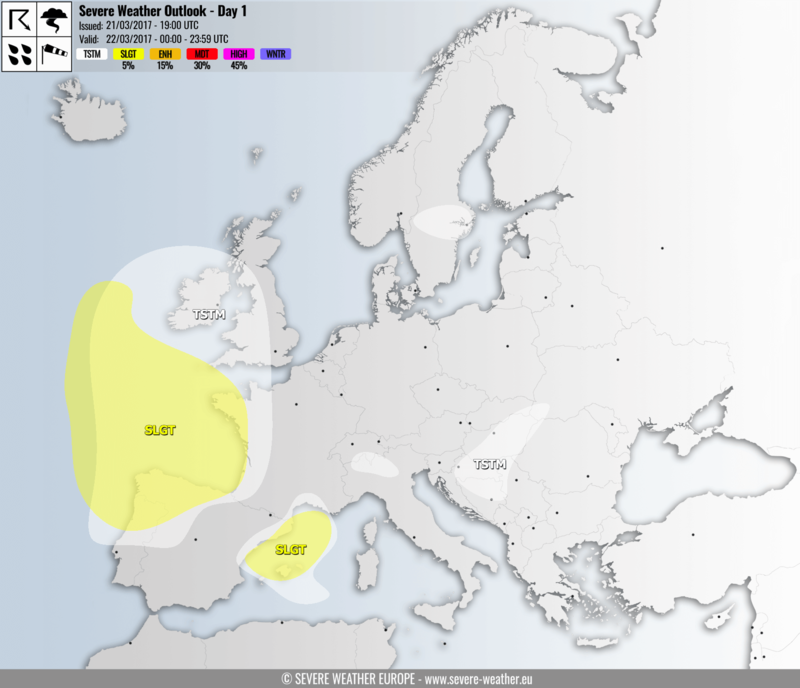 A SLGT risk has been issued for the Bay of Biscay, NW Iberia and NW France with threat for severe winds, marginally large hail and heavy rainfall. 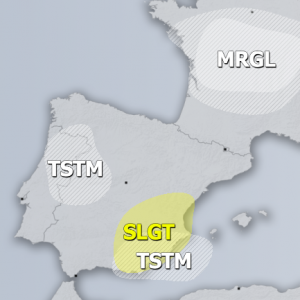 Numerous storms with occasional graupel showers are likely within then SLGT/TSTM areas as well. 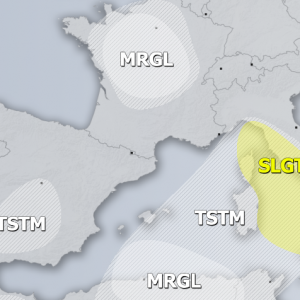 A SLGT risk has been issued for NW Mediterranean with threat for isolated severe storms with large hail, severe winds and heavy rainfall. 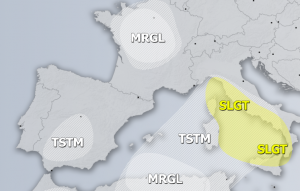 TSTM area have been issued for part of northern Balkan peninsula where some isolated storms are possible in the afternoon.